The question, for Lansdalians, is simple: Where do I park? The answer, not so much: It depends. It depends on who you are, where you are, when you want to park and why. It depends on who or what else is parking right where you think you should be able to park, and what is being built or is going to be built right on top of where you’ve always parked. In short, it’s complicated. And it’s about to get even more so. With 181 apartments and 22,000 sq. ft. of retail about to replace the expansive Madison Lot; with a four-story, 680-space SEPTA garage having risen almost in response; with new construction at Andale Green and along Cannon Ave.; and with businesses taking up residence and thriving in town, the situation can be confusing and will be certainly be changing. With all that in mind, we’ll attempt to answer the question: Where do I park? And we’ll start with a question: Who are you? Where you shouldn’t park – on the residential streets around the stations. They’re not as close, you’re not saving very much, and frankly you are just aggravating folks who live and pay taxes in town. “If you’re a commuter and you’re going to be on the train half or all day, you shouldn’t be parking on Second Street or on Church Road.” Burnell says. A resident. But commuters do park on residential streets. Which leads to the question: Where do residents park when SEPTA riders clog their street? 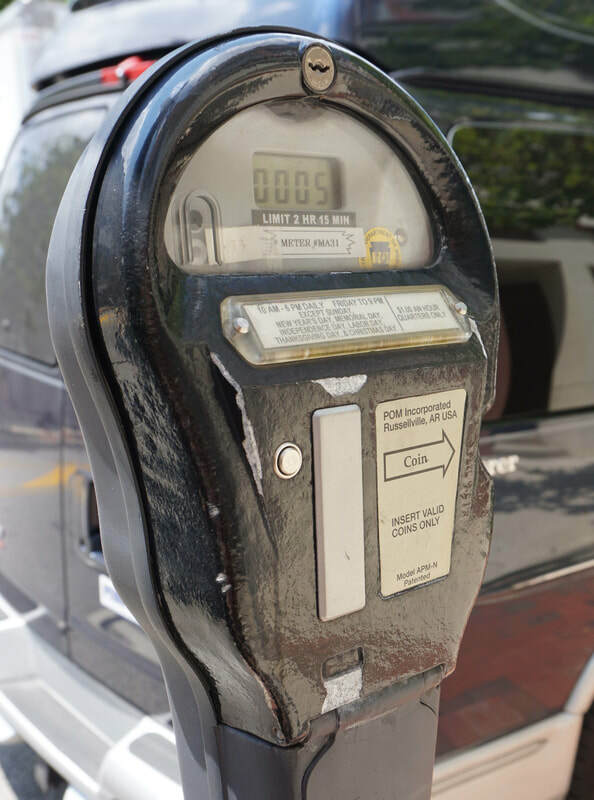 to pick up a cup of coffee or a bag of pretzels, press the button on the meters for 15 free minutes. And if your visit may exceed a couple hours, Lansdale’s kiosk lots are a good alternative to running down the street with a handful of quarters. 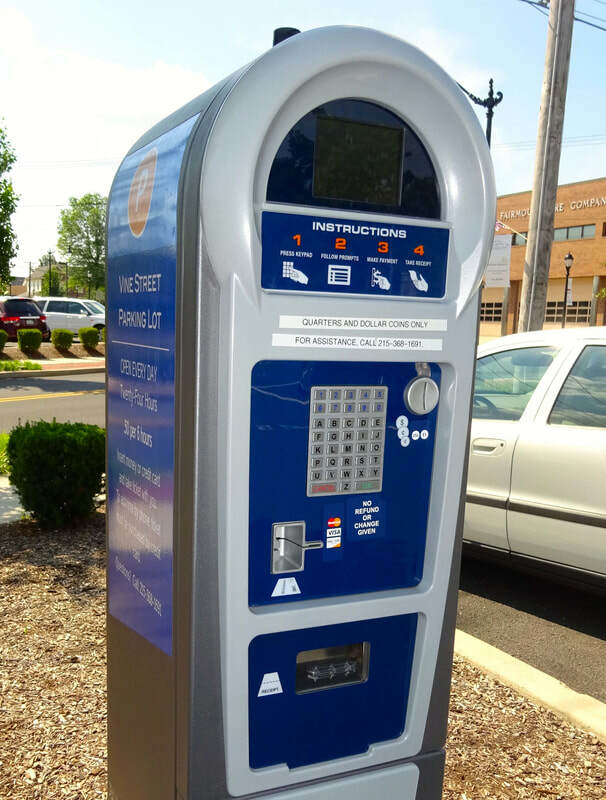 The West Main and Walnut Street lots go from one to four hours for 50 cents an hour, take credit cards and let you add time via text message – and the Vine Street Lot, across from the Library, goes longer still, up to six hours, for 50 cents total. A business owner or employee. Some properties along the main drag have private spaces in back that owners or employees may use. For others, that Vine Street Lot is an option, though the current limit is six hours before having to reload. “And if you don’t mind walking for two minutes, the garage is free right now. It’s convenient, safe and protected,” says Burnell. 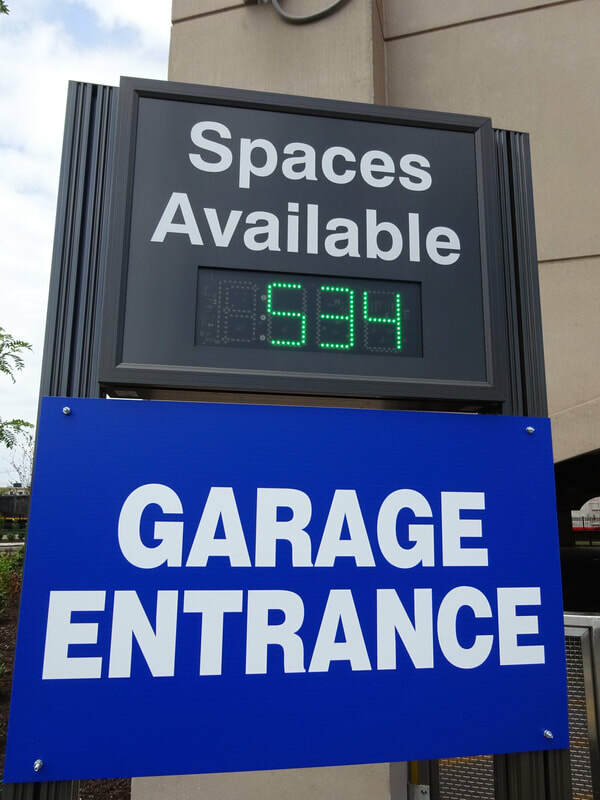 Although the Madison Lot is only available until Oct. 16, spaces there go up to 15 hours (the red meters). “Take advantage of the scenarios that are presented to you in the time when they exist,” Burnell says. “We know we have to be creative once that project starts. construction, according to Parking Authority Chairman Dan Dunigan. Parking at the Freight House Lot on South Broad could be coming on line soon after. Discussions are also under way with private lot owners near downtown for parking partnerships during construction. AT: West Main Street and Walnut Street lots (50 cents/hour), and Vine Street Lot (50 cents/six hours). AND: Not only do you get a warning of impending violation, so does Lansdale Parking Enforcement, so you better hurry. BUT: Pushing that button repeatedly is not only not fair, it also will draw the attention of the Parking Enforcement Officer.